Every year, university graduates around Australia are surveyed about their university experience, including factors impacting the quality of their university experience and some post-university outcomes. 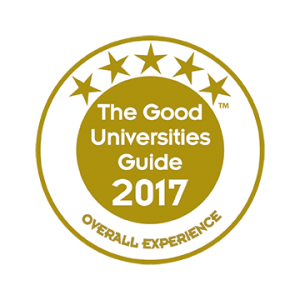 The resulting scores are translated into university star ratings and these are published in the Good Universities Guide. ECU graduates have again given us a 5-star rating for teaching quality. This rating has been achieved for 8 years in a row – from 2010 to 2017. ECU has received the second highest number of ‘A’ scores among the 29 Australian universities surveyed in the 2017 U-Multirank edition. U-Multirank is the largest global university ranking, showcasing close to 1,500 universities from 99 countries across the world. It shines a spotlight on high-performing universities. ECU’s nine ‘A’ scores included strategic research partnerships, international academic staff, international doctorate degrees and bachelor and master graduates working in the region. 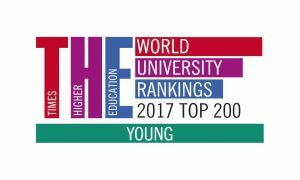 ECU has been ranked in the world’s top 150 universities under 50 years old in the 2017 Top 200 Young Universities Rankings (formerly known as the Times Higher Education 150 under 50). The ranking follows the same performance indicators as the overall THE World University Rankings. Young universities were measured in their teaching, research, citations, international outlook and industry income. IHNA has established a new Partnership Agreement with Edith Cowan University (ECU) in Western Australia for its nursing pathway program. The goal of this partnership are improving the academic outcomes and success rates of international students. IHNA offers Diploma of Nursing program to international students who can then qualify for entry into the second year of the Edith Cowan University’s Bachelor of Science (Nursing) program. Both IHNA and ECU will issue a Confirmation of Enrolment (CoE) for an international student who is applying for packaged course – Diploma of Nursing and Bachelor of Science (Nursing). Student can then “package” these two CoEs for student visa purposes. “The launch of this unique partnership aims to support IHNA’s internationalization goals. This new linkage will grow and diversify the international student population, broaden services for international students in IHNA” said Ditty Kunjukunju, the Chief Operation Officer of IHNA. IHNA offers international students a unique combination of high quality education, affordability and excellent student services. We are committed to provide exceptional student experience and a highly attractive option for ambitious international students. ECU offers a range of unique specialist undergraduate Nursing courses. The courses provide students with access to state-of-the-art health and wellness facilities featuring demonstration and clinical practice wards, health simulations that encourage scenario-based learning, and practicum placements with a range of health providers. Student must meet the English language requirements before being considered for packaging by ECU. There are two intakes in a year. February and July. IHNA Diploma of Nursing graduates are eligible for Credit Transfer in Semester 1 & 2 of Year 1 Bachelor of Science (Nursing). 120 Credit points will be exempted in the first year. Please click here to view the 24 units of competency required for this qualification. Located in Western Australia, ECU’s industry-relevant teaching and research, supportive study environment and award-winning facilities enable ECU students to do more than just survive in this world – they thrive in it. 2. Where is ECU located? ECU has three campuses in Western Australia, each offering a modern, vibrant location for study and learning. Their campuses feature up-to-date facilities including wireless internet, 24-hour access to computer labs, libraries with open study spaces outside office hours and a safe environment for you to study in, either by yourself or with other students. 3. Since ECU is at three locations in Western Australia, can I choose which campus I can study on? The Bachelor of Science (Nursing) is offered at Joondalup and South West (Bunbury) Campus. ECU Joondalup Campus is the University’s headquarters. The campus boasts state-of-the-art facilities, including the Health and Wellness Building, a multi-million dollar sport and fitness centre, an award-winning library and student hub, a microbrewery, an outdoor cinema for the summer months and on-campus accommodation. 1. What does it mean by packaged course? International students can apply to undertake two or more courses on their Student (subclass 500) visa where there is clear progression from one course to another. This is known as course packaging. IHNA and ECU will issue a Confirmation of Enrolment (CoE) for an international student who is applying for packaged course – Diploma of Nursing and Bachelor of Science (Nursing). Student can then “package” these two CoEs for student visa purposes. 2. What is the advantage of going to Institute of Health and Nursing Australia (IHNA) rather than doing the First Year University? The advantage for international students are many. Classes in IHNA are much smaller than the usual university lecture size. As a newly arrived international student, IHNA provides students with more class time and one-to-one learning support during their transition to college and their first year in overseas. As a diploma graduate, you may apply to AHPRA for registration as an Enrolled Nurse and gain part-time employment in a variety of healthcare settings while continuing your studies at ECU. It is easy, click here and follow the instructions. 2. How long will it take to receive an offer and COE from IHNA and ECU? After you have submitted your International Student Acceptance and Payment Agreement, you will be emailed your CoE within 12-15 working days. 1. How do I transfer to ECU? International students who have successfully completed the Diploma of Nursing in IHNA can gain direct entry into the second year of Bachelor of Science (Nursing) in ECU. Information sessions on transferring to ECU are held at IHNA. Dates, times and venues are posted to the Student Hub. 2. How can I obtain more information about ECU and its course?